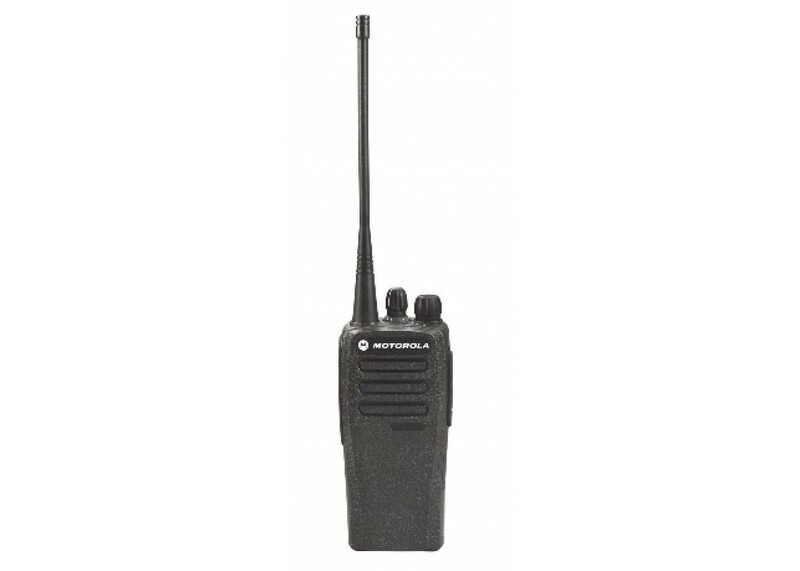 CONNECT AND COORDINATE CREWS When you need a simple, reliable, cost-effective communication solution to help multiple work crews connect, coordinate and collaborate, CP200d two-way portable radios are made to get the job done right. With their easy-to-use ergonomics and crisp, clear audio, now your teams can work more efficiently. 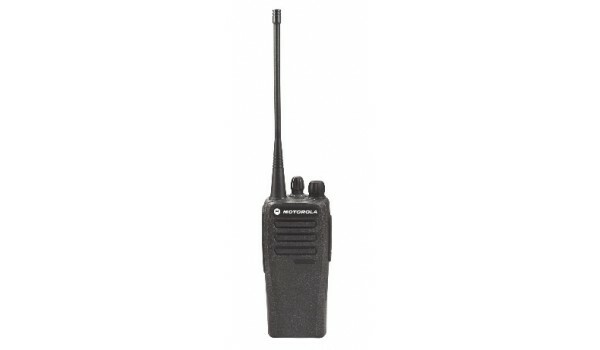 Unleash the power of your CP200d radios with Motorola Original® accessories. They’re the only accessories designed, built and tested with your radio to optimize its performance. 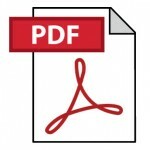 (See separate accessory fact sheet for full portfolio). IMPROVE THE WAY THEY WORK A construction worker carries his CP200d as an essential part of his toolkit. The digital technology gives him excellent coverage across the entire site. And it has significantly better battery life too, so he knows he’ll have reliable voice communications all day long. The manufacturing team in a parts factory relies on CP200d portables to coordinate operations. The digital noise-cancelling software filters out the worst of the background noise, allowing them to hear clearly over loud machinery. Factory capacity is expanding, so they’re running MOTOTRBO Dual Capacity Direct Mode, which can fit twice as many calls into the same spectrum. A security guard uses his CP200d to alert the control room to some suspicious activity. The radio’s intuitive design is easy to use in the dark, and even when he speaks softly, he knows that the digital AGC (Automatic Gain Control) will automatically boost the volume so he’s heard clearly back in the office. And if it comes to the worst, he can use one of the programmable side buttons to call for help – with one touch. MIGRATE AT YOUR OWN PACE Keeping operations running smoothly during a change in communication systems is vital to any business. It’s easy to migrate to digital with the CP200d because it delivers the same features, form factor and durability of the CP200 as well as using the same batteries and chargers. It can operate in analog and digital modes concurrently - and to ease the transition even further, the dynamic mixed mode repeater functionality streamlines automatic switching between analog and digital calls. So you can start using MOTOTRBO radios and repeaters on your existing analog system, then migrate to digital when your business is ready. Does your aging communications solution have you thinking about what’s next? When it comes to unified communications, analog radios have long been a reliable option, but today, digital two-way radios offer a range of benefits that make them the undeniable next step. Here’s why it makes sense to upgrade now.Next-Level Efficiency and ProductivityRemember when you had to carry around multiple devices, one dedicated to email, one for phone calls, and a laptop for business applications? Today, smartphones combine the best features from each device. But smartphones are not always the best solution on the job and where they fall short, digital two-way radios pick up for reliable, unified communication and collaboration.With WAVE™ Workgroup Communications, workers can instantly communicate with one-button push-to-talk access across any device ranging from two-way radios, smartphones and landlines to intercoms and PCs. So, someone using a smartphone off-site can instantly communicate with an employee using MOTOTRBO, onsite. Since data and voice features are all on one device, both management and employees can receive real-time information, the location of people and assets, and other critical data that drives much more informed decision-making, previously not possible on analog.The Basics, EvolvedMoving to a digital network also offers some exciting advances to core communications functionality, including better voice quality, increased radio capacity, better signal coverage, and longer battery life.Just like the jump from cellular phones to the modern smartphone, the jump to digital two-way radios allows users to hear and be heard much more clearly, without static or distortion. This is because when you use a traditional analog radio, every sound that's picked up by the microphone is transmitted. Digital offers much clearer sound, with features such as background noise-cancellation and intelligent audio. The result is extraordinary voice clarity that stays sharper, even as the signal gets farther out of range.Digital networks are also very efficient with spectrum requirements, so they can accommodate two completely separate "channels" in one 12.5 kHz channel, allowing you to double the number of devices on the same channel, without fear of interference.Plus, because digital technology is more energy-efficient than analog, MOTOTRBO radios can last much longer on a single charge, up to 40% longer, so users can communicate the entire day without recharging.